The 18-hole course is kept in excellent condition all year round. 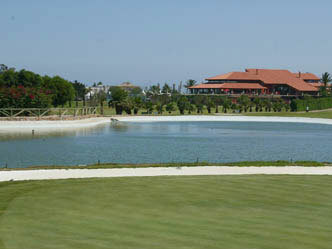 It is characterised by wide fairways, 9 lakes and greens defended by bunkers of impeccable design. The course has been catalogued as the flattest in Spain. Its round is very pleasant, with the major difficulties being the long holes and the design of the greens.